During the rodeo this past summer, these guys were waiting in the pen for their chance to out maneuver some cowboys. It was a beautiful day and although I had two rolls of film bite the dust in development, this shot made it all worthwhile. The cool sky balanced by the warm ground and steers accentuates the living animals hold up in the pen. 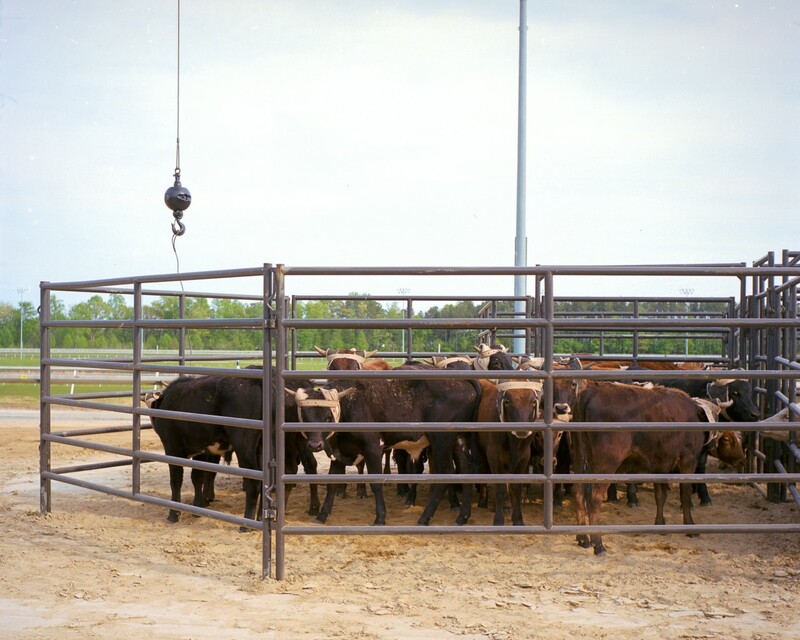 The hook hanging freely, as if from the sky, and the defensive stance of the one steer looking towards the camera hint at some impending fate. This entry was posted in Animal Kingdom, Photography. Bookmark the permalink.